Posted on January 30, 2018 February 1, 2018 . by Patrick Johnstone. Leave a comment. January 29th was a busy day at Council, and I have a lot to say about it, so I am going to stretch this out to three blog posts (a new record!) that are going to trickle out as I find time to write them up. We had a mid-day Workshop on pending Cannabis Regulations, and many items on our Regular Agenda, but I’m going to start by going through our three Public Hearing topics. There is a lot going on in BC on building more energy efficient buildings. The Province has been going through a process of developing a new building code that provides for more efficient buildings as a baseline, and ramping up that baseline over time. They call this the “Step Code”, as in several graduated steps towards higher efficiency. The top step (Step 5) will be buildings approximating the efficiency of a high-level European standard known as Passive House. These buildings use advanced building techniques to reduce thermal bridging between inner and outer walls, and much higher insulation standards. They also use advanced tech to assure that the air inside the house does not become stale or that moisture doesn’t become an issue by using heat exchangers and air handling units to closely manage indoor air quality. When well executed, a Passive House in our climate wouldn’t need a furnace 99% of the time – the waste heat from bodies, the back of your fridge, and your water heater will be enough to maintain a comfortable temperature. As a bonus, the house will be much more comfortable than an old-tech house because the air will be fresher and you won’t have drafts or big temperature shifts. Of course, these houses are more expensive to build, and have other design compromises. There is a Passive House on Third Ave that an untrained eye would not be able to tell from the heritage home next door, but the builder definitely experienced some “bleeding edge” hassles and expense getting it built. As it is one of the City’s goals to have more efficient building stock (to reduce GHG and energy use), our staff have looked at what types of incentives we can provide builders and homeowners to make it easier to move up the Step Code steps. There are limits to what a City can do as far as incentives when it comes to building new homes, for all sorts of Local Government Act reasons. However, we can provide variances to certain zoning requirements. Staff here suggests a Flat Area FSR Exclusion tied to Step code – the higher your “step”, the more FSR you are permitted, up to a 10% increase if you achieve Step 5 (which is Passive House / Net Zero Ready, for you code freaks out there). This makes up for the loss of living space per square foot of building due to the much thicker walls that Step 5 Houses will have. Staff did a pretty exhaustive analysis to determine the impacts on setbacks, even working with new Laneway/Carriage house guidelines, and don’t think that change to minimum setbacks are required. However, we would permit 2ft higher buildings in some zones to accommodate thicker insulation requirements in the basement and roof. We received one piece of correspondence that questioned the value of Passive House as opposed to other energy efficiency metrics, but I note our Bylaw does not actually do this. It is more about meeting the advanced building code, which may meet or exceed many efficiency standards that are currently flooding the market. We also had a presenter at the Public Hearing bring some interesting points about how we could encourage more efficient buildings by encouraging smaller buildings, and less articulated designs of Laneway/Carriage houses. These are great ideas, and our staff will be following up. Again, we need to figure out how to “incentivize” smaller houses within our legal limits when it would represent (essentially) taking away zoning entitlement, but I think there is something to his arguments, and I look forward to next steps. In the end, I think this is a good idea and appreciate the work staff did to develop an evaluate the incentive programs. Council voted to approve giving the Bylaw Third Reading. This project will see three living units built on a current single-family lot in the Brow of the Hill – a duplex and a laneway house. The lot is currently vacant, and has been for several years, at least in part because it is a very challenging lot to build on. It is narrow and very steep, with the only road access on the uphill side (which is one of New West’s numerous named laneways). The project as proposed was generally supported by the Residents’ Association and neighbours. The Advisory Planning Commission approved the design. We had no written submissions, and no-one came to speak to the Public Hearing. Council voted to approve Third Reading of the Bylaw Amendment. This was the highest-profile Public Hearing of the night, a big project that has been in the works for several years. The project will see a 33-story residential tower with a 3-story mixed-use podium on the corner of Sixth Street and Carnarvon in the “Tower District” of Downtown. The project will include enclosing part of the Skytrain guideway between Sixth Street and MacKenzie Street. The building supports the Downtown Community Plan for the Tower District, putting higher density development near our Skytrain stations and downtown amenities, while providing street-level retail and public realm improvements. It will have twice the number of “family friendly” units required by our Family Friendly Housing Policy, including several street-level townhouses, and a majority of two- and three-bedroom units. It was approved by the Advisory Planning Commission and Design Panel (after several design and layout changes to accommodate concerns raised by those committees earlier in the process). The changes being proposed here in the Zoning Amendment are related to overall density and height. The density requested is 6.11 FSR, which is 0.91 above the zoning allowance of 5.20 (with Density Bonus). This is actually lower density than the two immediately adjacent recently-developed properties. The height does, once again, allow the building of a more slender building with less shadowing and view impacts, larger offsets from surrounding buildings, and a better ground form. The design of the tower has shifted somewhat as a result of public consultation and committee input. The tower was made narrower, with a “chamfered” top, and was pushed west and south somewhat to reduce intrusion to existing adjacent buildings. Council received some written correspondence for this project, both in favour and against. We also had five presenters at the Public Hearing, three against (all concerned about views and sunlight) and two in favour (including the proponent). Neighbours in adjacent high-rise circulated a petition opposing the project for height, view and traffic concerns. I also took note that one of the letters of support was provided by one of the businesses that will be displaced by this project. Overall, I think that the developer has done a good job working with the community through the consultation process, and have put a serious effort into addressing concerns. The question is always “what does the community get out of developments like this?” and perhaps that needs to be an entire new blog post, as most of the answer is not limited to this single project, but also to most development projects in the City. But here is a one-paragraph answer. The City gets living spaces, which is part of (not nearly all) of the solution to rising housing prices. This project has a variety of housing types, with City townhouses and apartments that will no doubt range (based on size, side, and story) from somewhat affordable to kind of expensive. We also get density near our retail zones to improve the viability of our businesses. 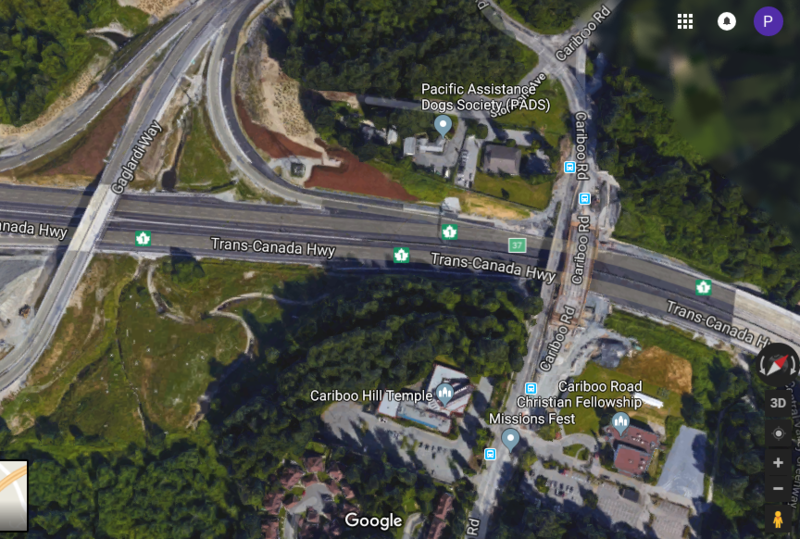 Placing density near SkyTrain stations reduces the traffic impacts of that density, and even reduces the need for people to drive through our City because we are providing more housing options here. This particular project will envelop part of the Skytrain line, which will reduce noise in part of downtown, and will provide a small pocket park on Sixth Street improving the public realm in that area, along with an improved retail strip. Through Density Bonus and Voluntary Amenity Contributions, the City will receive something close to $3Million. Through Council Policy, Density Bonus money all goes into reserves, with 30% going towards our Affordable Housing fund, 10% towards providing capital grants for childcare, 10% to fund our Public Art program, and the remaining 50% towards general amenity fund that goes into improving civic facilities and parks via our 5-year Capital Plan (this is aside from the DCC contributions the builder must make to pay for sewer, water, parks and roads infrastructure in the City). Council moved to approve Third Reading for the Zoning Amendment. We then moved on to Opportunities to be Heard, which will be covered in Part 2, coming soon! Posted on January 23, 2018 . by Patrick Johnstone. 2 Comments. It appears the Mayor’s Council are once again on the hot seat. For the best part of a decade, the Council has demonstrated apparent amity, likely due to recognition that they were going to need to work together to get a disinterested Provincial Government to support any kind of transit funding stability as the region’s growth exploded. Alas, they recently seem ready to take a step back into parochial foot-shooting. With a federal government hot to spend money on urban infrastructure renewal and low-carbon transportation and a provincial government equally willing to prioritize sustainable transportation investments, the 10 year plan developed by a consensus of Mayors is suddenly being questioned by the very Mayors that put the plan together. The first shot in this apparent internal battle was the vote to make Mayor Corrigan of Burnaby (the one Mayor who questioned the 10-year vision all along, leading random bloggers to suggest he was “transit regressive”) the new Chair of the Mayors Council, giving him more power to set the agenda and negotiate with the province over the terms of transit investment. He did this (presumably, because the voting was secret ballot), only through a one-mayor one-vote system that provides the Mayors of Anmore and Lions Bay equal voices to those of Vancouver and Surrey. However, most votes at the Mayor’s Council have a weighted vote system in an effort to closer approximate the population differences across the region and the relative sources of the budgets that TransLink spends. This is the vote to watch to see who is on-side with well-developed and integrated sustainable transportation investments, and who is willing to delay solutions to our regional transportation challenges for yet another decade. Posted on January 10, 2018 . by Patrick Johnstone. 1 Comment. The first meeting of 2018 had that back-to-school feel, with presentations, some interesting public delegations, and some actual work done. We started with a presentation from staff on Innovation Week, which I will probably have to write a whole separate blog post about, because there is a lot of cool stuff happening at the end of February, and you probably want to take part. This is the first public reporting of the work that has been done up to now on the 2018 budget and Financial Plan through to 2022. Our General Fund (the money we use for the day-to-day running of the City) is currently budgeting revenue to increase by 3%, mostly from tax increases, with expenses increasing by 2%. We can achieve this with a 2.95% tax increase, and still include the transfer of $4.7 Million into capital reserves to support our long-term Capital Plan. The Capital Plan for 2018 includes $64 Million spent on buildings and other capital improvements – $50 Million from the reserves we have in the bank, $7 Million from borrowing, and $7 Million from other sources (Grants, DCCs, etc.). This is completely manageable in 2018, but we need to look forward to our entire 5-year Capital Plan, which is (at first blush) pushing the envelope a bit. We have a great number of capital projects, including some new facilities and ongoing capital maintenance. Over a 5-year plan, it totals more than $240 Million, which will challenge our reserves and our debt tolerance. 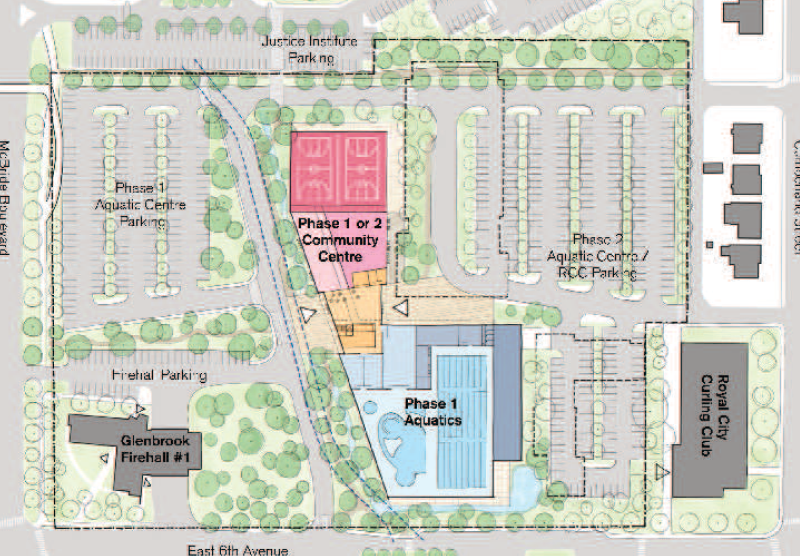 A big part of this is the proposed replacement of the Canada Games Pool and Centennial Community Centre, but also includes implementation of our MTP, necessary maintenance and upgrades on the Library, City Hall, and other buildings, and meeting community expectations for everything from accessibility to pavement management (there is a great table in the report that outlines all of the items in the draft 2018 Capital budget attached to this report). 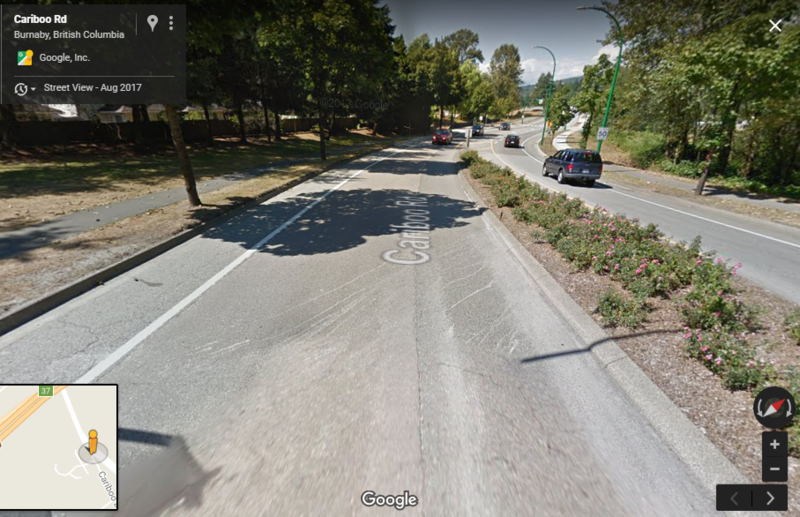 The need to invest in closing our infrastructure gap is not unique to New Westminster, and we are in pretty good shape compared to many similarly-sized Cities across Canada, but the gap is real and needs a proactive approach. We have already done some pretty serious prioritization of capital projects, and our staff have done the financial analysis to determine the right balance between drawing down reserves and increasing debt – both options have long-term financial consequences. Staff are proposing a Capital Levy to be added to our property taxes to help us get over this capital investment bump. A 1% levy for 5 years would help our reserves be maintained at a level that provides financial security long-term. Essentially, that would mean our tax increase in 2018 would be 3.95% (assuming the general budget is approved as it is), but that the extra 1% would be earmarked for tangible capital improvements like the Canada Games Pool. This is an interesting discussion, and I look forward to hearing from the public about how we should best address the needs identified in our Capital Plan. This Federal Grant program is a pretty exciting opportunity – though it will be a highly competitive grant process. The City has a pretty ambitious Intelligent City program, and has already been recognized as a Smart21 City. Events like the Innovation Forum, our Hackathon and our Open Data, BridgeNet, and other initiatives put us in a good position to put together a bid, either alone or working with regional partners. We need some community help here, though, so look forward to some upcoming community engagement asking you to help us frame a “Challenge Statement”. Oops, they moved Spring Break on us! Please update your 2018 social calendars so you won’t be disappointed! Once again, taxi operators in the City are asking for an increase in their fleets to meet frequency and timeliness standards their customers expect. This somewhat convoluted process includes the City approving a Bylaw to increase the number of licenses. This is the draft version of the Bylaw, which will go to an Opportunity to be Heard, so I’ll hold off my comments until after that. The Heritage Conservation Area (HCA) protections for Queens Park are designed to prevent the active destruction of important historical assets in the community. However, these assets can be damaged in a more passive way – through intentional or unintentional neglect or maintenance failures that erode the structural stability or heritage elements of the building. For this reason, HCAs usually include a Bylaw that regulates minimum standards of maintenance for otherwise protected buildings. This draft Bylaw replaces an existing older Bylaw that protected heritage assets in the City, in order to align with the new HCA. Essentially, it requires owners take reasonable steps to prevent water ingress and rot, infestation, and damage caused by penetration of vegetation into the building. It doesn’t regulate things like fading paint or cosmetic appearances. The City has looked at providing some development incentives to homeowners interested in building much more efficient houses. This would help us meet our long-term community energy and emissions reduction targets. Passive House (or, in the native German “Passivhaus”) is an ultra-low-energy standard where a typical residential home can be heated by little more than the waste heat from their fridge coils and domestic water (with a bit of a boost from low-power heaters in extreme conditions). We have at least one Passive Houses-standard house in the City that I know of (you wouldn’t know looking at it from the street), and as the Province’s Step Code changes advance over the decades ahead, the “leap” to Passive House will be getting smaller and smaller – making it more and more attractive to builders. However, the thicker walls required for Passive House currently mean a slightly smaller house for a given footprint/allowable zoning, and staff are recommending we change the way we calculate square footage (and concomitantly FSR) for buildings built to Passive House standard to level that playing field a bit. This Bylaw will go to Public Hearing, so aside from describing the intent, I will hold off on comments until after that. This is a follow-up on a few questions Council had coming out of the Partnership Grant applications and approvals we did back in December. This is the last of our Grant approvals for the 2018 season, with the rest being done back in December. Festivals Grants help fund everything from the Hyack Parade to the various cultural festivals and road “closures” across the City. No doubt the Festivals file has been a great news story in New West over the last couple of years, with so many great events happening. This is – I cannot emphasize enough – mostly due to the efforts of armies of volunteers from the many organizations that work to bring people together in New West. They do most of the heavy lifting for these events, but the City’s financial and logistical support can be fundamental to their success. Our budget was $235,000, and we received 25 applications totaling just a hair under $400,000. So the Festivals Committee was charged with prioritizing funding based on established criteria. In the end, Council approved the recommended $248,100 in funding to 23 organizations – which is $13,000 over budget. This City is regional leader in the Housing and Social Planning departments, because of consistent support from Councils past and present over the last decade, and because of some remarkably strong work done by our social planning staff. This file has grown (…expanded, …exploded) as the regional housing crisis worsened along with other social issues in the province related to poverty, mental health, and failing senior government social supports . There is so much going on: the development of supportive housing on City lands, expansion of childcare, actions under the Family-friendly housing policy, child and youth friendly city strategy, dementia-friendly City action plan, the Rent Bank, our Tenant Relocation Program… the list goes on. We have senior governments now that are talking about re-investing in supporting the disenfranchised and marginalized citizens of the province, and there is some light on the horizon, but the City still needs to maintain consistent action, and that means we need to invest in the staff required to do that work. Council moved to support that work, and further made it clear to staff that we don’t want to slow down, but need to know that there are sufficient resources to address emergent issues. This work program is ambitious, but the City is ambitious. Speaking of good work on the affordable housing file, we are looking at how to encourage the development of more affordable housing options. We have been pretty successful at encouraging secured market rental gets built, but need to worry about the affordability of those units, and long-term stability of the lower-cost rental stock (this is where the Demoviction and Renoviction issues come in). We also need some policy guidance on inclusionary housing – assuring there is a reasonable non-market housing component to the new housing growth in the City. That will require some economic analysis of proposed policy changes, for which we would need to hire some consultants. This can be paid for out of our Affordable Housing fund. 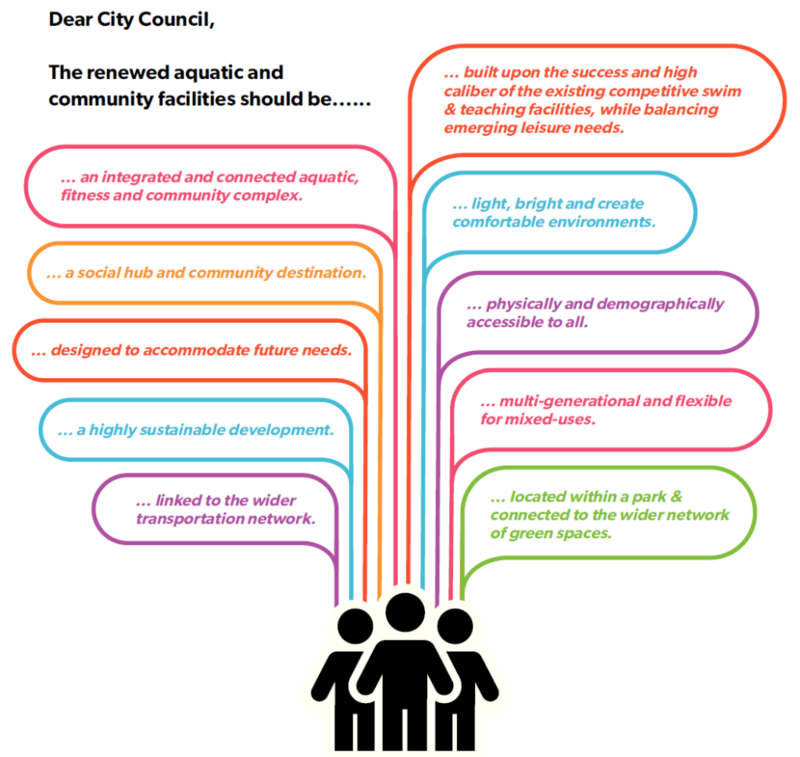 There will be some stakeholder and public consultation on this work, and I am interested to see where it is going. As discussed above, this Bylaw would adjust our zoning to support the building of more energy-efficient buildings. Council gave this Bylaw Amendment two readings, and it will go to Public Hearing on January 29th. C’mon out and let us know what you think. As discussed above, this Bylaw which would allow an increase in Taxi licenses in New Westminster was given three readings. There will be an Opportunity to be Heard on this Bylaw Amendment on January 29th. C’mon out and tell us what you think! As discussed above, these Bylaw amendments that would help protect heritage homes in Queens Park from intentional neglect were given three readings. 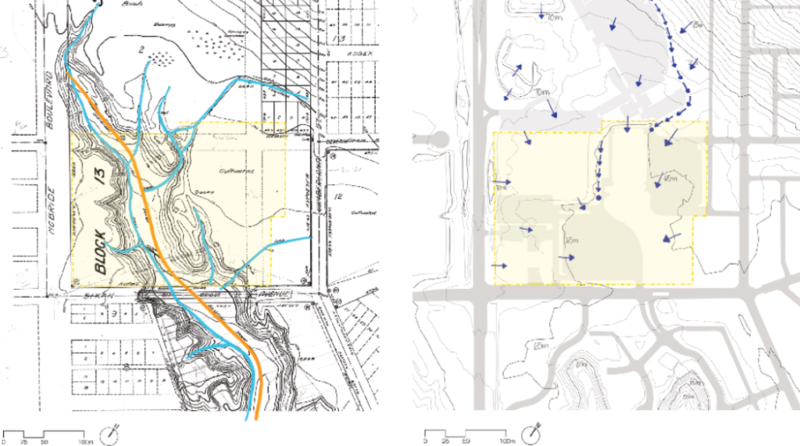 This Zoning Amendment was given a Public Hearing back on November 27th, and is required to permit a childcare facility to operate on City lands in Queensborough. It was Adopted by Council, and is now the Law of the Land. This Amendment to our 2017-2021 Financial Plan was discussed and given three readings back on December 4th. It is an administrative update to adjust for changes that occurred during the year, and was Adopted by Council. And, again, aside from an interesting Public Delegations session, that was the work for the evening. See you all next week, same time, same channel!